With the exception of fun things for kids, it isn't often that we review musical instruments. It would be hard to justify reviewing a grand piano on a website primarily focused on the latest technological innovations, unless it was one that featured WiFi, Bluetooth, and could fly. Imagine that. 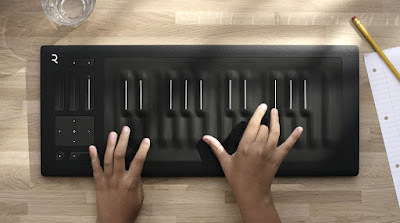 Granted, the Seaboard Rise from Roli can't fly, but it is a new kind of instrument that is so jam-packed with innovation that we just couldn't say no. The Roli Seaboard Rise is a wireless electronic instrument that features a short length of keyboard-layout keys and other buttons. We were sent the Rise 25, a much more compact version compared to it's bigger brother, the Rise 49. That said, it is still a large object, and thanks to the mostly metal body (which is pretty tough and rugged), it isn't all that light, either. 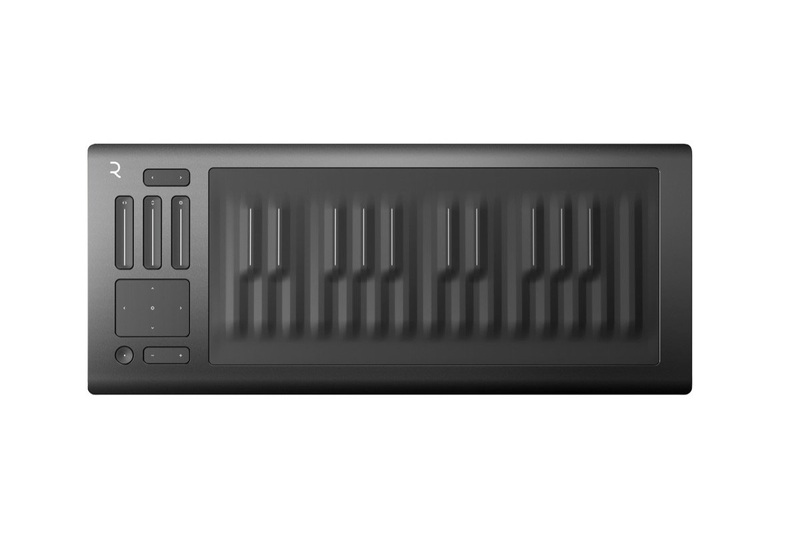 To play the Seaboard Rise you need a computer or mobile device like a phone or tablet. 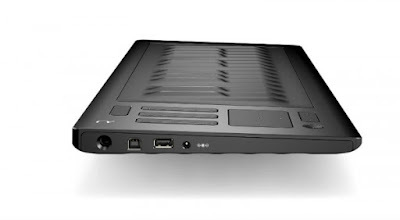 There are no speakers built-in to the instrument itself, but it does connect very easily to the likes of your laptop via the included USB cable, or via Bluetooth. With speakers plugged into your computer (or connected wirelessly again) you are ready to bang out a few compositions. Included with the Rise is the ability to download Seaboard's software packages, the most crucial of which is Equator. It is with this programme that you'll get some noise out of the Rise, and tailor that sound to whatever you want it to be. As you can see, this is pretty phenomenal. All aspects of the note you want can be changed right there on the Rise itself, during performance, so no fiddling around with your laptop during a show. 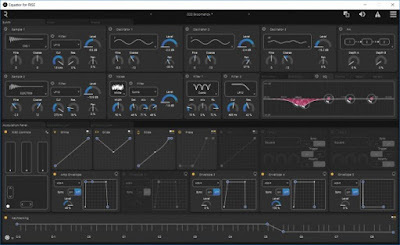 That said, a hell of a lot more can be done with Equator, from programming presets that you can easily flick to on the Rise, and importing specific sounds to play. Equator can be pretty daunting when you first open it up, especially to someone not used to seeing electronic instrument programmes like this. But it is actually quite simple, and once you start playing around and finding the sounds you like, it is easy to master. 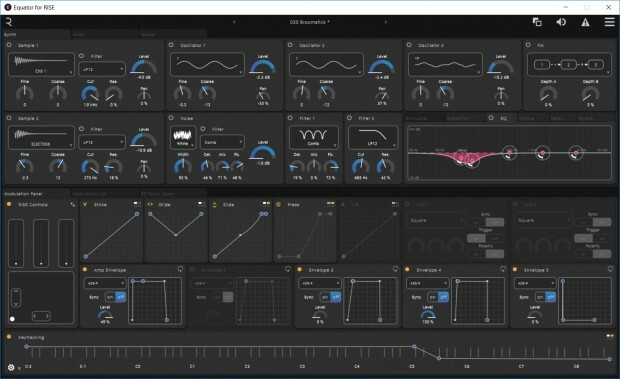 Essentially, you find the preset you like, change whatever you want about it, and start playing, experimenting with the Rise's five dimensions of musical making. As mentioned above, you can strike the keys like a regular piano to get a single sound. But, quite like other more expressive instruments like guitars and saxophones, you can do more; sliding side to side, gliding your fingers up and down the keys, pressing deeper into the surface of the key itself (which feels pleasurably weird), and lifting your fingers at different rates to create reverb. And all this is before you even start considering what changes can be made with the track pad and sliders to the left of the keyboard. Unfortunately Equator doesn't let you record your tracks, but you can link it to any number of musical editing programmes that will let you. Also, in terms of lugging the Seaboard Rise around, it comes with a pretty handy folding case that would help to keep it safe in most non-strenuous travelling situations. If you are a keyboardist looking for something new, then this might not be for you. As the keys themselves are reduced in scale, and because they are difficult to see in dark environments (there is very little contrast between them), it is quite tricky to play it like a conventional piano. Instead this will appeal to fans of electronica, or even DJs looking to enhance their sets with live performances. Although a background in the piano is definitely a help to get started with the Seaboard Rise, a complete musical novice will still be able to create something interesting with it. Because of that, it has the real feel of a an innovative and 'new' instrument, unlike anything we've ever seen or played before. The price might put many people off, but in the hands (or rather under the fingers) of someone who has mastered it, the Seaboard Rise is an incredible device.